The RSO/RO/SO has a multifaceted job – they’re there to enforce the event’s rules, but most importantly, they’re there to keep everyone safe. Safety is a Range Safety Officer’s (RSO) single most important job. Watch the shooter, not the targets. When watching the shooter, stare at the trigger. 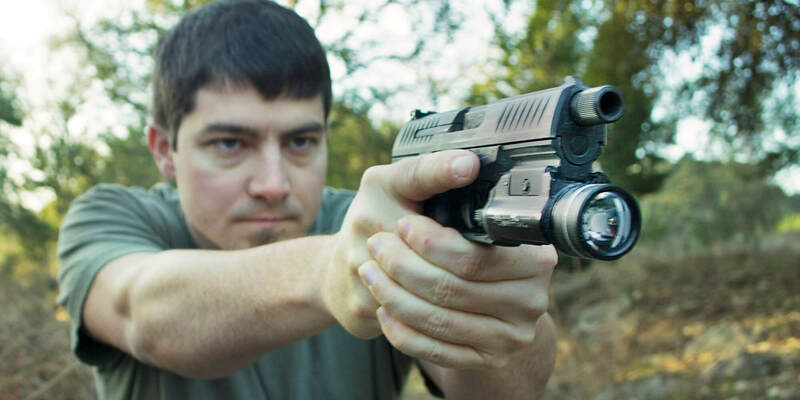 This provides a solid point of reference to maintain focus and watch the important safety issues, such as a finger off the trigger and muzzle direction in a safe direction. Finger in the trigger while moving is a warning, loaded gun muzzling someone is an automatic go home – no exceptions. Do not feel bad at all about DQing someone, I guarantee you’ll feel worse if you fail to DQ someone and they shoot someone due to their unsafe firearms handling. 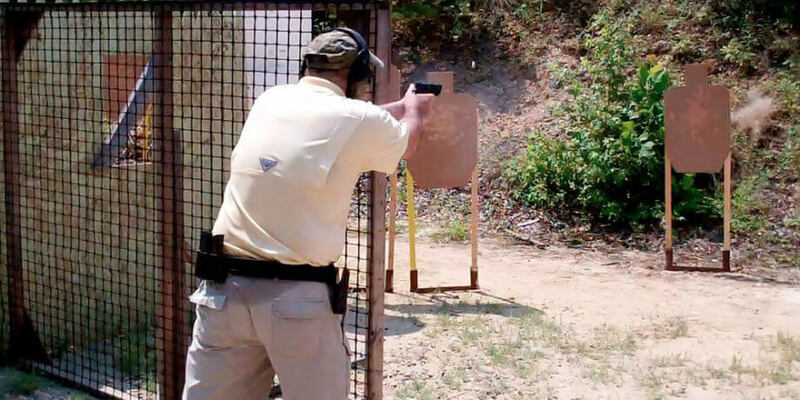 If you DQ someone for unsafe firearm handling, your Match Director will have your back 100%. On a stage where hits must be called, it’s best to have at least two ROs, especially if the hits are out past 100 yards. One RO watches the targets, one RO watches the shooter. All ROs should watch the shooter while they are moving. When calling hits, give the benefit of the doubt to the shooter. For 100+ yard shots, binoculars or a spotting scope while calling hits are very useful, bring them if you have them. If you call a hit, it is now a hit – you don’t get to change your mind and tell them to shoot that target again. If you suspect a squib, call “stop” immediately. Shooters can always reshoot a stage. Shooters can’t always see again if a squib blows up in their face. It is critical that stages be run the same way for all competitors. Go out of your way to thoroughly read and understand the stage description. If you are rotating stages, watch the competitors before you and see how they’re running it. If you have any questions, ask the ROs before you or the match director. It’s always the worst as a competitor to see someone get a better time than you because they were allowed to run it differently. Try not to give personal advice to the shooter before or during the stage. If you give bad advice that negatively impacts the shooter, then you’ve just hurt their stage time. Not to mention some shooting competitions have rules offering advice during the stage. During the stage, only talk to the shooter if it is about safety, calling hits, or if they are asking questions. If someone looks confused about the stage route, give it a few seconds before speaking up and guiding them to the next point. 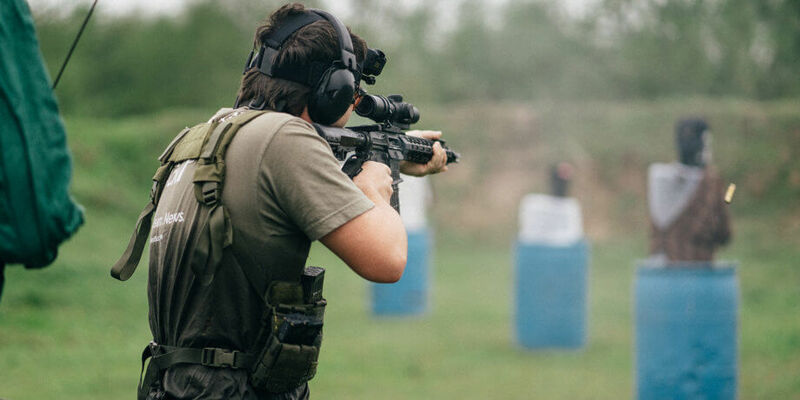 When talking to the shooter, speak very loudly and clearly – their adrenaline is pumping, they’re focused on the stage, and they’re wearing hearing protection. All these factors make it difficult to hear. If you should have to stop the shooter, say “stop” as absolutely loud as you can. Don’t form a long sentence or any other verbiage as that will take the shooter longer to understand or could get confused due to the noise of the range and their hearing protection. Yell “STOP” as loud as you can and repeatedly until the shooter stops. If the competition format rules allow it, I will make an exception to the above if a shooter is brand new to shooting competitions. 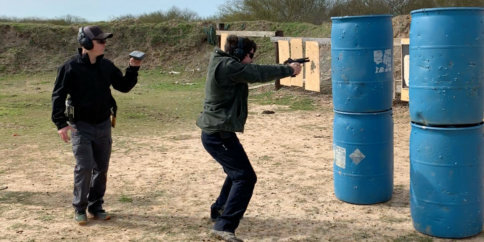 I’ll give the new shooters basic coaching through the stage, particularly if they’re having trouble operating the firearm safely – but only if they are very new and are far from the top spots. We’re out there to learn, have fun, and be safe. If giving advice to a brand new shooter can help improve safety, then I have no problem with that. Finally, let’s bring it back around to safety. Pay close attention to the health of the runners, especially when it’s hot out. Look to see if they’re stumbling, flushed, slurring words, or have stopped sweating. Heat casualties can get real bad real fast. If someone does look like they’re struggling, talk to them and ask them if they’re getting tunnel vision and if they’re still sweating. If they have stopped sweating, we have a potential heat casualty on hand and get on the radio for help. This is generally put in place by the match director, but it is always important to have and know the match’s medical plan. A trauma kit should be kept at every stage and the match director should know the coordinates for a medivac should the absolute worst happen. 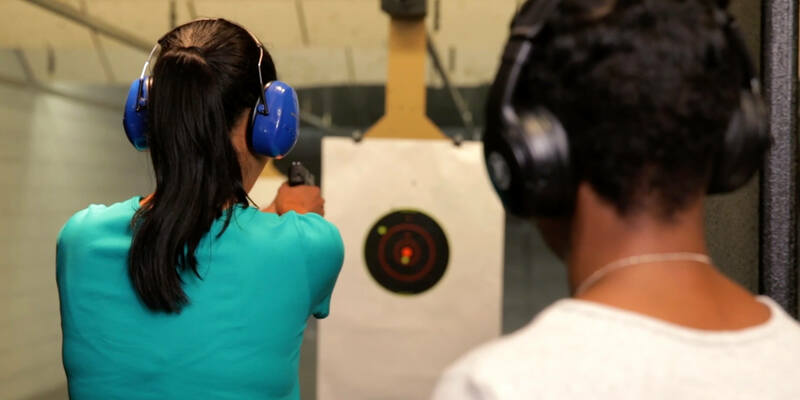 Various shooting competition formats, such as USPSA or IDPA, offer Safety Officer courses. It may seem beneath you, but set aside your pride and take one. You will learn a low about firearms safety and match safety. Even if you don’t plan on ROing much, they’re useful as you’ll learn more about that competition format’s rules. Safety courses really are quite worth it.